Eating healthy and exercising might be the foundation of weight loss, but diet pills certainly don’t hurt. Good diet pills can give your metabolism the boost it needs to burn fat and lose weight quickly, like many fat burners for women. This list contains only the best of them, but not all diet pills are created equal. You’ll find them ranked according to their weight loss benefits and health risks. Part 1 ranks this year’s 9 best diet pills for women in order, and part 2 will go over how they work and answer some FAQs. 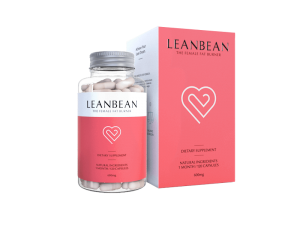 It’s hard to argue with the testimonials, celeb power, and sheer popular support Lean Bean has seen in recent years. They’ve become the social media darling of diet pills. They’ve got a price tag to match the fanfare. A starter pack costs $185, but it comes with a three-month supply of Leanbean supplements as well as one free bottle and an e-book workout guide. Their vegetarian, all-natural supplements target women by incorporating simple, plant-based ingredients that work in conjunction with the female metabolism. Glucomannan, green tea extract, and turmeric are the primary ingredients. Glucomannan and green tea extract are both popular diet pill ingredients that boost metabolism and suppress appetite, with plenty of studies to back them up. Turmeric is a little less common. There are lots of other natural ingredients in each capsule, including vitamin B6, acai berry, and vitamin B12. You’ll notice all these ingredients are present in doses of 100mg or more, so you’re getting a sufficient amount too. No fillers. They also offer a 90-day money back guarantee, so while they’re on the spendy side, you can always return the product if it doesn’t work. 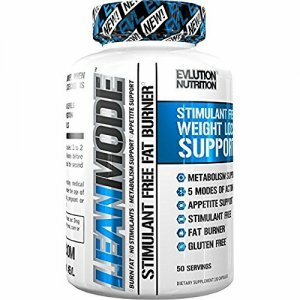 If you’re sensitive to stimulants or worried about their side effects, Evlution Nutrition’s LeanMode is the product for you. It’s one of the few effective diet pills on the market that’s also stimulant-free. You get over 50 capsules for under $20, and each capsule promotes weight loss through 5 different key modes: fat burning, appetite control, metabolism, energy, and positive mood. Advocare is easily in the top 10 hottest MLMs, and it’s probably #1 when it comes to health and wellness. Their vitamin, mineral, and herbal supplement Slim helps you take control of your appetite and also incorporates energy and metabolic enhancers. This powdered drink supplement comes in lemonade, mixed berry, and apple pear and costs $31.99 for a pack of 14. Green coffee extract, chromium, and garcinia cambogia (one of the most popular natural diet pill ingredients) are the main ingredients in Advocare Slim. However, in order for garcinia cambogia to have maximum weight loss effect, supplements should contain 50-60% HCA. Advocare does not disclose how much active HCA is contained in their products. Using all-natural components, Isagenix’s Natural Accelerator helps you burn more fat while also boosting your metabolism. You’ve probably already seen me write about the rise of Isagenix and how they’re slated to become one of the top health and wellness MLMs in the world. 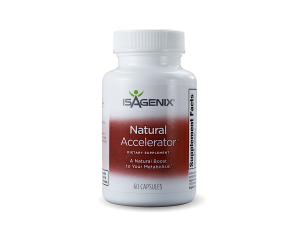 Like everything Isagenix comes up with, Natural Accelerator is a top-notch product. It uses plant-based ingredients that support thermogenesis, your body’s process of heat production. Finally, cocoa seed, the last main ingredient in Natural Accelerator, contains caffeine, which is shown to boost the effects of thermogenesis when consumed in conjunction with green tea. Ultimately this is an effective fat burner that doesn’t rely on synthetic ingredients and has little to no side effects. It provides enough caffeine to give your metabolism a good push without incorporating dangerous stimulants. 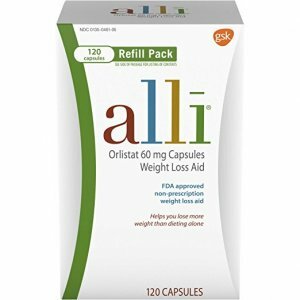 Alli is the only diet pill on the market that’s FDA-approved. Their claim is that anyone using alli and pairing it with a balanced, healthy diet can lose 5-10% of their body weight with ease, and it’s backed by a number of clinical trials. Their diet pills are considered lipase inhibitors, which prevent roughly 25% of the fat you eat from being absorbed into your body. While the science is there, alli isn’t really designed for heavy weight loss. They do produce a prescription product for people who are severely overweight called Xenical, but you have to talk to your doctor about being approved to use it. Skinny Body Care has been killing it in the MLM space, especially when it comes to weight management. Their Skinny Fiber supplement is a proprietary fat burning blend that checks off all the weight loss boxes, from killing cravings and boosting metabolism to reducing fat absorption and detoxing your digestive system. 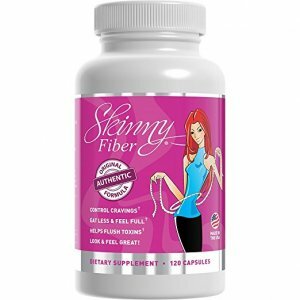 Skinny Fiber boasts a special active ingredient with some serious fat-burning credentials: Glucomannan. Glucomannan is a fiber found in a specific yam variety, and over the last few years, the weight loss community has really started to pay attention to this powerhouse fiber. It’s hard to ignore. All the active ingredients in Skinny Fiber are natural. The supplement also harnesses Cha de Bugre, Caralluma Fimbriata, and various enzymes. Caralluma Fimbriata is known as “famine food” in India because it’s so effective at blocking hunger. There are some health risks that come with taking such powerful appetite suppressants. Bottles come with a warning advising customers to drink a full glass of water with every single pill, otherwise, the swelling of the product’s ingredients could block the throat and make it difficult to breathe. At $39.99 for a two-month supply, it’s not the cheapest product on this list, but it’s affordable. Plexus Slim is part of The Plexus TriPlex system by Plexus, which bundles their three favorite weight loss and health products into the ultimate weight management program. 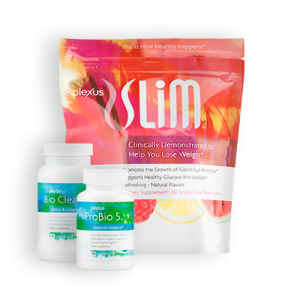 The Plexus TriPlex includes Slim, Bio Cleanse, and ProBio5. 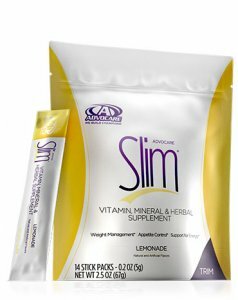 Slim is their version of the diet pill, but it comes in the form of a flavored powder drink that you mix into water. The supplement is offered in raspberry, lemon, and watermelon, and it’s gluten-free with no artificial flavors. If you want to go for the whole bundle, ProBio5 is a probiotic supplement that keeps your intestines healthy, and Bio Cleanse is a cleansing supplement that helps your body detox regularly. The whole bundle goes for $149.95, which puts it on the spendier end of diet pills and weight loss programs. However, it does offer a multi-angled approach to weight loss, and you’re getting three products out of it. 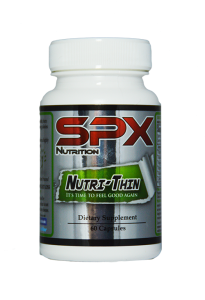 Produced by SPX Nutrition, Nutri-Thin claims to be a holistic, high-potency weight loss solution that works by increasing energy, suppressing appetite, and burning fat. Nutri-Thin does this with their proprietary formula, which includes the following active ingredients: complete Vitamin B Complex, Phenylethylamine, Bitter Orange, Acai Berry, and Siberian Ginseng. For $49.95 a bottle, it’s not the cheapest diet pill on the market, but it does have good reviews. However given the fact that they’re still using bitter orange as an active ingredient, proceed with caution. This is one of the few diet pills on the market that focuses specifically on suppressing appetite for women, so if that’s the issue you want to target, Sheer Appetite Suppressant for Women is a solid option. 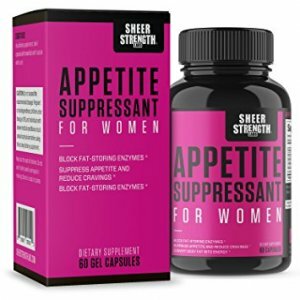 Sheer Appetite Suppressant for Women’s all natural formula is built around the following active ingredients: Rhodiola Rosea Extract, Caralluma Fimbriata Powder, Hoodia Gordooni Extract, Chromium Piccolinate, and L-Methionine. At $17.97 for a one-month supply, a bottle of Sheer Appetite Suppressant for Women is very reasonably priced. Overall, it’s an effective diet pill, although its focus is pretty narrow for folks who are looking for more holistic health benefits in their supplements. Part 2: Why should you use diet pills for women? What are their benefits and side effects? Diet pills can be a helpful addition to a healthy diet and exercise. But what is the full range of benefits offered by them? Are they really aw effective as they claim? More importantly, what about the potential side effects of taking diet pills? Are they safe? Diet pills for women are designed to boost the metabolism and suppress appetite. The central benefit of adding diet pills to your diet and exercise routine is an increase in the amount of calories you burn, and therefore additional weight loss. Diet pills can be particularly effective for women, who are shown to have a slower metabolic rate than men on average, making it harder for them to lose weight. This is especially true as they age. Having unnecessary body fat is associated with many health risks, including heart disease, diabetes, and high blood pressure. Diet pills, when taken properly, can help reduce this risk by promoting fat burning. Many of the ingredients found in diet pills have additional benefits that are indirectly related to weight loss. They often help boost energy, which can increase focus and improve workout performance. Diet pills can also promote digestive health. Diet pills are not without risk. Because diet pills aren’t heavily regulated by the FDA and most aren’t FDA-approved, the variation in quality is huge. If you don’t do your research and choose the correct products, diet pills can be dangerous. Finally, diet pills that contain hunger-suppressing fibers can sometimes cause bloating and constipation for people who don’t typically consume a lot of fiber. Every diet pill contains different ingredients at varying levels, so it’s important to check the dosage of your specific diet pill. They may recommend anywhere from 1 to 4 capsules per day. It’s important to follow the recommended dosage to avoid health risks. The recommended intake level of caffeine is 400mg per day, so if you are sensitive to caffeine, keep this in mind. What is the best diet pill? There are many different diet pills on the market, and most use their own proprietary blend that claims to promote weight loss. The best diet pill will depend on your individual body, but some particularly effective natural ingredients found in diet pills include garcinia cambogia, caffeine, orlistat, green coffee bean extract, glucomannan, and green tea extract. What does garcinia cambogia do to your body? Garcinia cambogia is a fruit found in Asia. Its peel contains the active ingredient hydroxycitric acid, which is shown to increase fat burning and suppress appetite. How long does it take garcinia cambogia to work? This depends on how much hydroxycitric acid your supplement contains. It should have at least 20% HCA to be effective, but supplements with levels closer to 50-60% are shown to be the most effective at promoting rapid weight loss. Do any diet pills work? Diet pills will not work on their own and must be used in conjunction with a calorie-deficit diet and a regular exercise routine for any weight loss effects to take place. While not every diet pill is effective, there are studies that prove positive weight loss effects of many of the diet pills on this list. Are weight loss pills bad for you? Some diet pills combine high levels of caffeine with other diuretics, causing users to see weight loss results in the form of losing water weight. This is not sustainable as users are not burning fat but simply losing water weight because they are dehydrated, and it’s not healthy. However, many diet pills contain safe, natural ingredients. Are diet pills addictive? Diet pill abuse and addiction is a problem, especially among teens. Diet pills that contain high amounts of stimulants can make users more susceptible to addiction. Additionally, if users have a history of eating disorders, they may be more prone to abusing diet pills in the hopes that higher doses will result in quicker weight loss. What happens if you take a lot of diet pills? You could potentially overdose on stimulants, which would raise your blood pressure to dangerous levels. Overdosing on diet pills can even result in heart attack or stroke. How do I suppress my appetite? Apart from consuming effective diet pills designed to block hunger, drinking water, minimizing stress, and eating enough protein and fiber can all help to curb your appetite. Diet pills can help boost your metabolism and push you past a plateau when it comes to losing weight. While there are side effects involved, as long as you research products and take them at their recommended dosage, diet pills for women are very effective in increasing metabolism and suppressing appetite. Eating fewer calories and exercising regularly will always be the foundation to healthy, successful weight loss, but diet pills can help women get there faster. For MLMCompanies.org #1 diet pill for women recommendation, click here.